The new PyroNFC-K from Calex Electronics is a fully-configurable infrared temperature sensor that can be installed in place of a thermocouple probe quickly and easily. Contact temperature probes have been used in industry for over a century, but it is now increasingly common for modern non-contact sensors to be introduced their place. 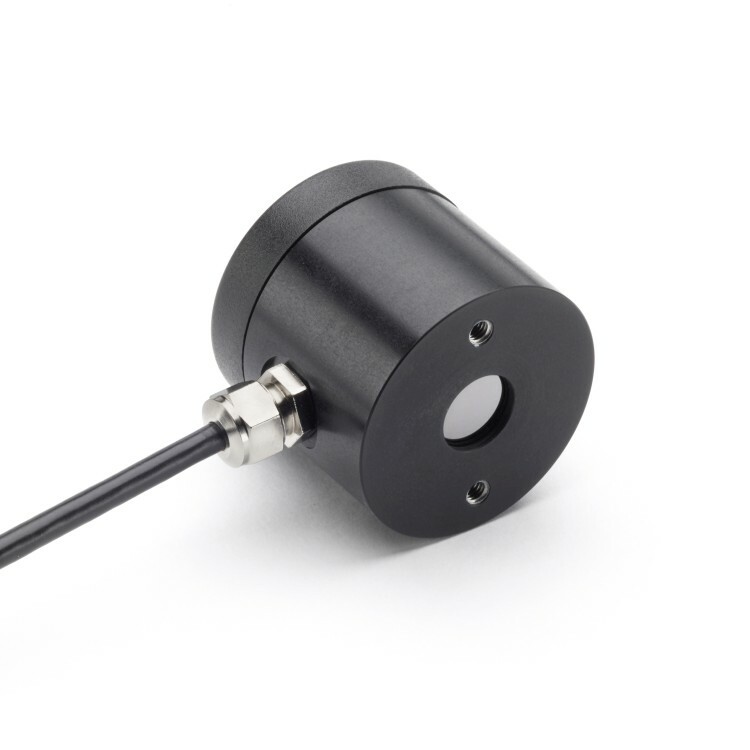 Drawbacks of traditional thermocouples, such as slow response times, mechanical wear, vibratory failure and system inaccuracy, are instantly overcome by switching to infrared pyrometers. The PyroNFC-K makes it easier than ever to make that switch. The sensor measures temperature by detecting the infrared radiation emitted by a surface, and transmits it within a fraction of a second as a simulated thermocouple output. 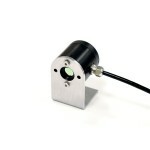 The response time is extremely fast at just 0.125 seconds. A repeatability specification of +/- 0.5°C or 0.5% helps ensure consistent product quality in manufacturing processes. 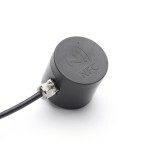 Connecting the sensor is extremely simple – just swap out the old Type K probe with the PyroNFC-K’s two thermocouple output wires, apply 6-28 V DC to the sensor’s power wires, and start measuring. The sensor accurately measures most non-reflective non-metals, or painted metals, straight out of the box with default settings. It can also be configured easily via a free Android app for NFC-enabled smartphones (search Google Play for “PyroNFC”). 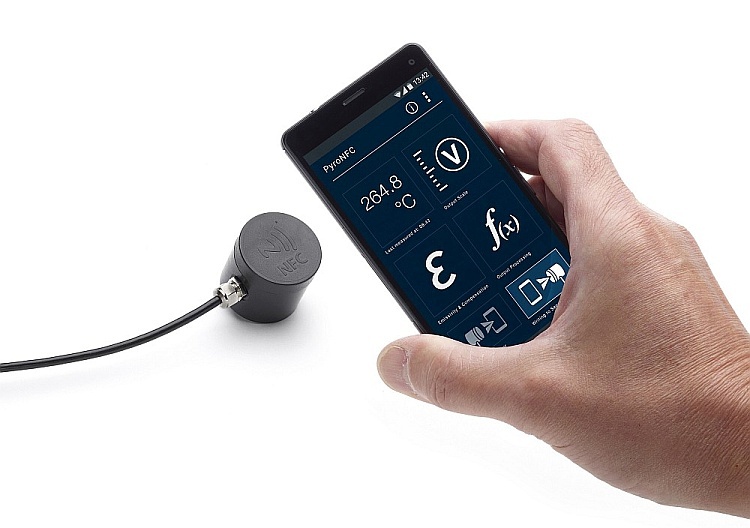 While the phone is held against the sensor, the measured temperature is displayed live. An open drain alarm output is also included as standard. This can be used at the same time as the temperature output. The PyroNFC is available with quick delivery from Calex and our distributors worldwide.